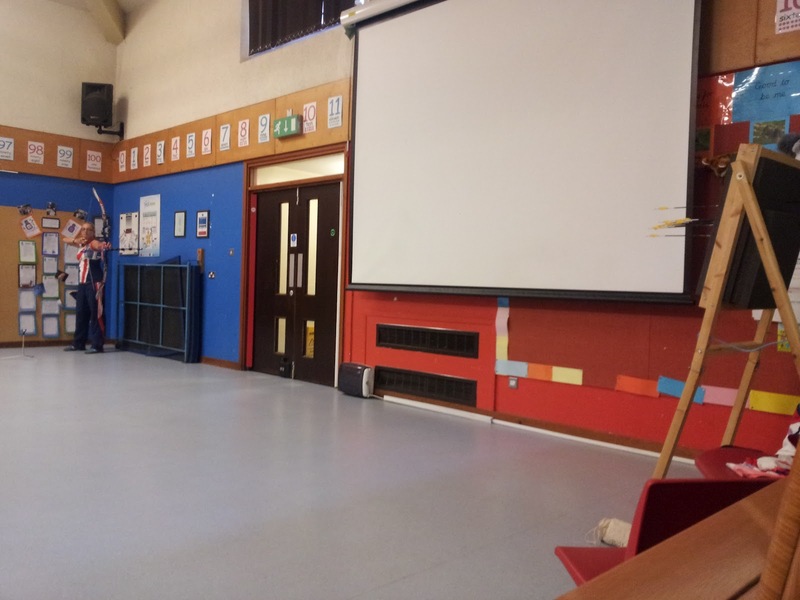 Welcome to the Ash Class blog! 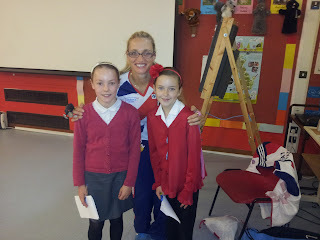 : An Olympic Visitor! Today we had a visit from Alison Williamson, an archer on Team GB for the London Olympics. 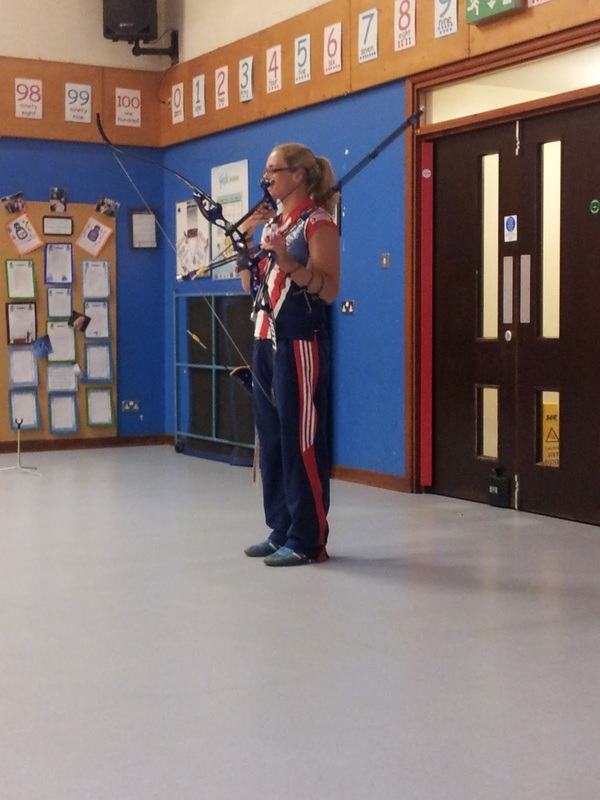 These will be the sixth Olympics that Alison has competed in - amazing!!! 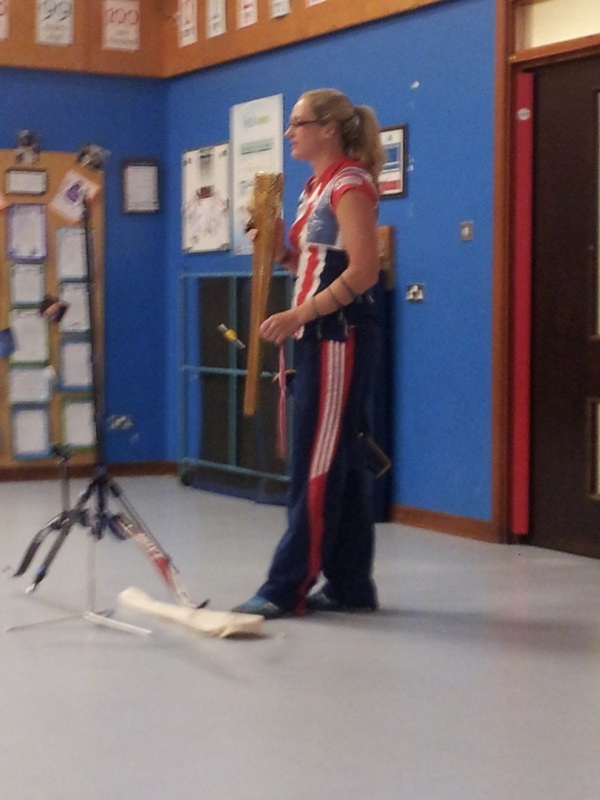 She showed us her bow and arrows, Olympic Torch and also her bronze medal from the Athens games! Good luck for 2012, Alison! Wow, it looks really hard.Good luck in the Olympics! I thought she was aiming at me at one time. Luckily, she didn't shoot me! Wow! That sounds amazing! What did you like the best about what she taught you about? Alison Williamson is pretty interesting and cool. Wow you guys are so lucky you get to have a crossbow provisional in your class. That would be so much fun. England is an awesome country are crumpits good? I think it is very cool that you had a olympic visitor into you class.we had a olympic visitor come into our class last year.She was a snow border. I think it is cool that an olympian archer went to your class. 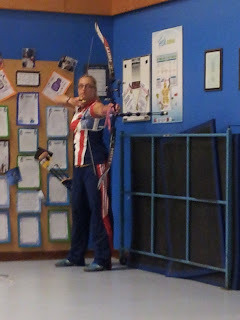 Did she shoot arrows?